The concept behind wetland restoration is to redevelop water basins that have been previously drained. ‘Water basins’ are also known as wetlands, sloughs, potholes, swamps, ponds, bogs or marshes. “Quite often, the wetland was drained with the intent to crop the area. However, drained wetlands don’t always provide ideal land for growing productive crops, and eventually the area becomes a trouble spot for producers. A good solution is to take it back to its natural state,” says Curtis Hullick, Field Manager for MHHC. There are many environmental benefits when it comes to restoring wetlands. Their natural ecosystems purify water, assist with flood control, help to prevent erosion, and store carbon, which plays a significant role in reducing climate change impacts. Finally, wetlands provide a home for many native plants and animals. In addition to these natural and long-term benefits, landowners are also compensated for the area that is restored. Cash payments, which vary depending the number of acres and scope of the project, are given to property owners for working with MHHC to bring a water basin back to its natural state. “We work with local landowners to identify potential areas that are suitable for restoration, then assess the land to determine what the best options are for restoration, and get to work,” spoke Hullick. 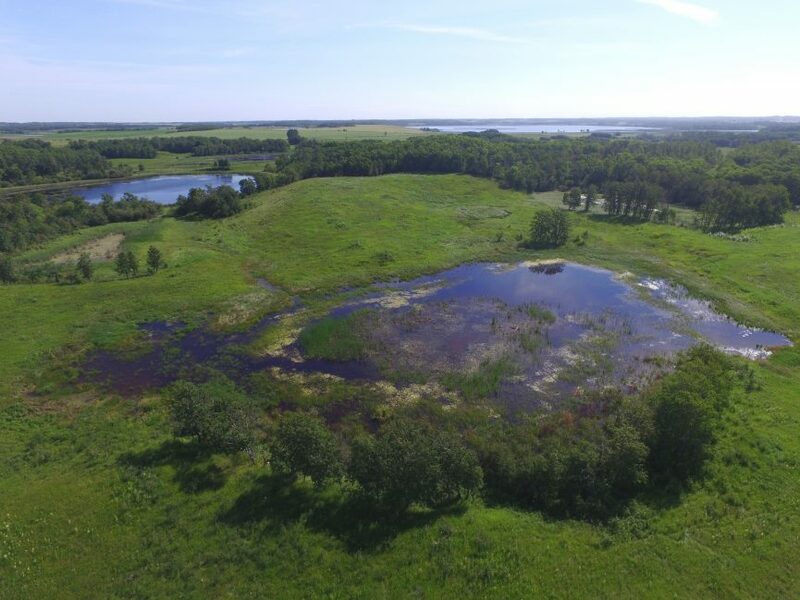 MHHC has successfully restored numerous wetlands this summer and is currently looking for additional opportunities to partner with landowners on wetland restoration projects throughout the province. For more information, please contact Curtis Hullick at 204-724-5115 or your local MHHC representative.